We invite you to meet the Jacksonville Aviation Authority (JAA) Board of Directors. This group will see to it that the customer comes first at all of the Jacksonville Aviation Authority airports; Jacksonville International Airport (JAX), Jacksonville Executive at Craig Airport (CRG), Herlong Recreational Airport (HEG), and Cecil Airport(VQQ). JAA's Board of Directors consists of seven members; four appointed by Florida's governor and three appointed by the mayor of the City of Jacksonville. Once appointed, members may serve a maximum of two consecutive four-year terms. JAA's Board of Directors meets bimonthly in a publicly noticed meeting to conduct the business and set policy for Jacksonville's four airport system. 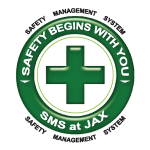 To contact JAA board members, please call JAA's Executive Office at (904) 741-2013.